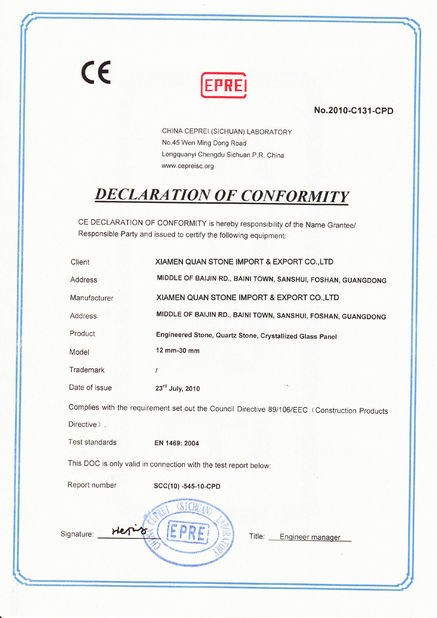 Quality Control - Xiamen Quan Stone Import & Export Co., Ltd.
We have a QC teams of 12 members specialzing in inspecting all kinds of granite and marble products . Edges of tiles must be grinded and polished in corners. Skirting boards must have a standard bevel of 3 mm/45° at the long edge at upper side. Tiles and floor plates with a polished surface and/or polished revolving edge must have polished fases. for a measuring length of 1000 mm is 2.50 mm. for a measuring length of 1000 mm is 2.00 mm. for a measuring length of 1000 mm is 4.0 mm. for a measuring length of 1000 mm is 3.0 mm. Grinded – equally rough surface with marks of processing. These marks can only be done by grinding process; the surface thickness difference must be no more than 0.5 mm. Cut – unevenly rough surface with uneven surface; the surface thickness deviation must be no more than 2 mm (for more details please look at the grades A and B.
Ultrasonic processing – with distinct color and picture of stone. Flamed finish – rough surface with peeling marks. Other types of finishing can possibly be approved by the customer. Grade A and grade B items must not have visible damages at any side. 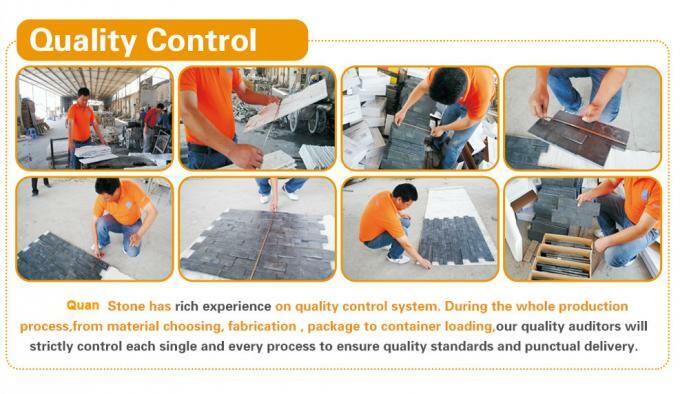 They must not exhibit shooting lines, cracks, fissures, damaged edges, rust marks, uneven fases, nor black or white spots. Chips length not exceeding 1 mm along the edges of the perimeter of the tiles. Items must neither exhibit bearing damages, nor weathering damages. 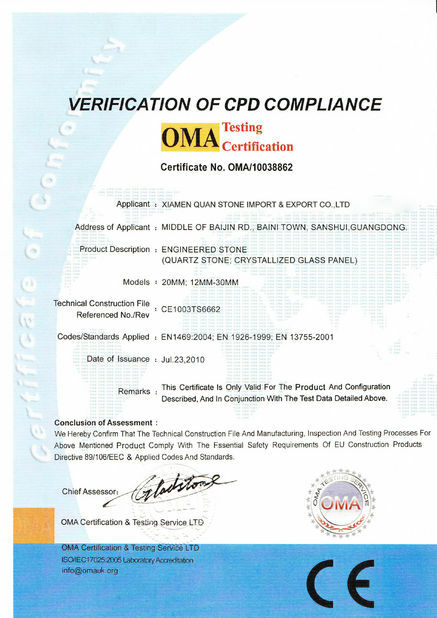 Physico-mechancial property of natural stones must satisfy the requirements of DIN 52008, DIN 52104-1, DIN 52108, EN 772-4, EN 771-6, EN 772-11, EN 772-20, EN 1341, EN 1342, EN 1343, EN 1467, EN 1468, EN 1469, EN 1925, EN 1926, EN 12057, EN 12058, EN 12059, EN 12326-2, EN 12370, EN 12371, EN 12372, EN 12407, EN 12440, EN 12670, EN 13383-1, EN 13383-2, EN 13364, EN 13755, EN 13919, EN 14066, EN 14146, EN 14147, EN 14157, EN 14158, EN 14205, EN 14231, EN 14579, EN 14580 and EN 14581.